Ron Tate - Excellent Cultures Inc.
Ron Tate has an international reputation for helping, leaders, managers and sales organizations not only improve their performance but maximize it. He’s known for having built some of the most successful management and sales teams, in a number of industries. Ron is uniquely qualified in the areas of leadership, leadership development, management, sales, sales management and sales team development and has served over 150 companies in more than 20 countries helping them excel in these challenging areas. He is the author and designer of the 12 Month “V2M Professional Management Skill Program” and has delivered over 4800 sessions graduating more than 2500 successful leaders. 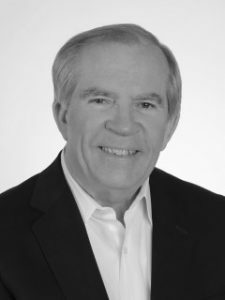 Ron’s expertise includes the ability to assess, design and then implement leadership, management and selling solutions fitting each client’s unique specific needs. His wisdom spans from hiring to training and then training the trainers as a seamless process. Hiring well while coaching and training for excellence are the essential elements for continued growth and development in any organization. Ron has the unique ability to help leaders find the right path while equipping them to draw the best out of their people in these critical areas. Believing that “Every child is a gifted child with their gifts being simply different” has been his trademark in helping others find their “gifts” as a life-long journey. Serving successful firms like Marriott, Disney, Hilton, the U.S Naval Reserve as well as numerous others have provided a treasure trove of knowledge to share with others. Ron has an MBA from Vanderbilt’s Owen Graduate School of Management, is an original member of National Speakers Association and has been recognized as a leading change agent in the world of sales and sales management. He works with companies of all sizes and looks forward to helping each client find their “unique gifts” while knowing that they never have to rehearse to be themselves. Dennis Allison, Wapato Point Development Co.